i've been hearing much ado about this particular video - i love JC yo, but not so much religion. i was in T.dot last week chillin' and relaxin' with my peeps. and over coffee Anna informs me of this video that is no everywhere! i was on vacation, therefore, ergo, thus, out of the loop. when i got back i quickly checked out what was going on. buddy what's his face made a few good points. and, there have been many others (Fr. Barron, Phatmass' Fr. Pontifex, etc.) who have taken up the cause of shedding light on this - indeed, you can't have one without the other. we need, i need, both God in Our Lord Jesus Christ, and his Holy Church. however, bball1989 - buddy what's his face, was raising old points addressed by many before, including one of my favourites, Sigmund Freud. back in the good ol' days of the seminary, we were encouraged to take our courses from different colleges among the Toronto School of Theology (TST). i loved this idea, since it allowed us to see and experience faith from different perspectives. by the end of my fourth year, i had taken at least one course from all seven colleges! in my third year, i think, i took a course at Trinity College on Psychoanlaysis, etc., which of course, delt heavily with Freud. i didn't see everything the same as others, but i enjoyed the conversations, the dialogue, and our common desire to walk with God. it is not secret that Freud disliked religion. i think at one point we read the full Future of an Illusion, which dealt primarily with religion, and his difficiculty with it. one of the points of bball1989 was similar to Freud's major difficulty with religion - that all are sheep, to paraphrase. indeed, that is how people outside the Church see people inside - there is a picture on Facebook to prove it, so it must be true. however, i do agree with Freud - we were never meant to be sheep. as St. Irenaeus once said, the glory of God is man fully alive. however, even Christians, Catholics, and all who try to walk with God, suffer sin, and a paralyzed - as this Sunday's Gospel reminds us (Mc 2:1-12). being holy does not mean being a sheep - simply following what St. Peter did, what St. Theresa did, what St. John Vianney did, etc. we must look at why they were holy, then apply that to our lives, somehow! God has called each and everyone of us to be holy. in his many books, Freud disliked the sheep mentality coupled with religion, but he did see some good points in religion! indeed, he always considered himself a Jew. Freud had good points, so did bball1989. however, if it wasn't for the Church, i would never have found God, in Our Lord Jesus Christ. i was forced to go to Church through most of my childhood. however, through the love of my parents, and encouragement of several friends, i found God, in Our Lord Jesus Christ, truly present in adoration, in the Most Holy Eucharist - body, blood, soul and divinity. 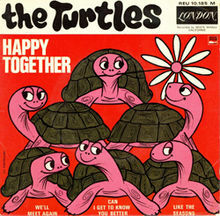 happy together. it was through prayer and adoration that i fell in love with, and continue to love Jesus Christ. His love for me moves me to love my brothers and sisters, and to love Holy Mother Church. can't have one without the other. Pope Benedict XVI has given his formal approval to the theme proposed by Archbishop Martin for the 50th International Eucharistic Congress: The Eucharist: Communion with Christ and with one another. The Congress theme has its roots in The Dogmatic Constitution on the Church, (Lumen Gentium) of the Second Vatican Council, where we read: Really partaking of the body of the Lord in the breaking of the Eucharistic bread, we are taken up into communion with Him and with one another. "Because the bread is one, we though many, are one body, all of us who partake of the one bread". In this way all of us are made members of His Body, "but severally members one of another" (Lumen Gentium, 7). more details please. Le Pape Benoît XVI a donné son accord formel au thème proposé par l’Archevêque Martin pour le 50ème Congrès Eucharistique International : L’Eucharistie : Communion avec le Christ et entre nous, a ses racines dans la Constitution Dogmatique de l’Eglise, (Lumen gentium), du Concile Vatican II. Prenant réellement part au Corps du Seigneur dans la rupture du pain Eucharistique, nous sommes engagés dans la communion avec Lui, et les uns avec les autres. « Parce que le pain est un, et bien que plusieurs, nous sommes un seul corps, nous tous qui prenons part au seul pain ». De la sorte, nous sommes tous faits membre de Son Corps, "mais respectivement membres les uns des autres" (Lumen gentium, 7). Pour plus d'information. ps. can i use the same title twice? 10-4, over and out.